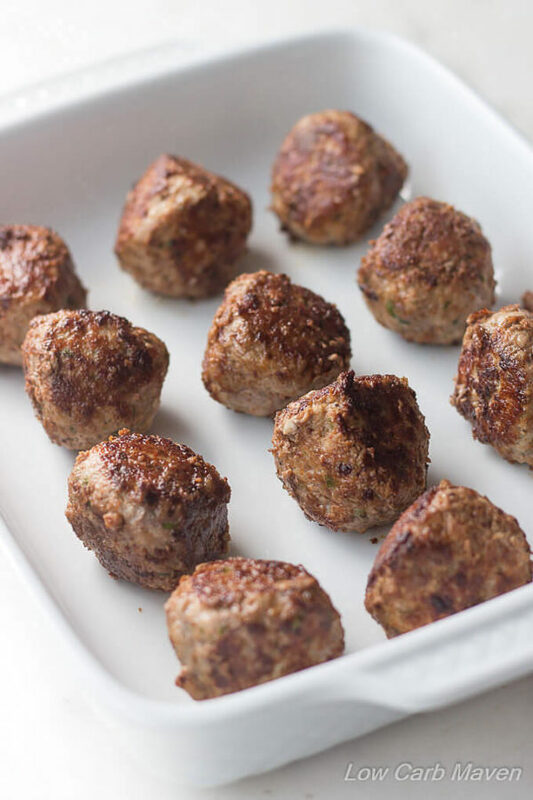 Whether you prefer your meatballs baked or fried, my low carb meatballs recipe produces the best Italian meatballs which are tender just like mom’s. 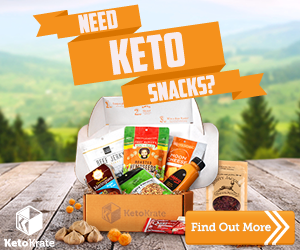 Gluten-free and great for keto diets, too. My mother comes from a long line of Italian cooks, something I didn’t appreciate until recently. I grew up with delicious home cooked meals like chicken Parmesan, homemade pizza, gnocchi, and spaghetti with mom’s meatballs. Many years ago, Mom and I spent an afternoon together in the kitchen while she taught me her recipes for sauce and the best Italian meatballs. Today, I’m sharing my low carb version of her meatball recipe. Mom uses a combination of beef, pork, and veal as well as breadcrumbs to make tender Italian meatballs. She flavors them with onion, garlic, fresh parsley, and Parmesan cheese. She adds a raisin to the center to make the meatball sweet. I do, too, but it’s optional. Since this is a low carb meatballs recipe, I omit the breadcrumbs. I also omit the veal because it’s expensive. What kind of meat to use for meatballs? A combination of beef, pork, and veal makes the best meatballs, but I use half beef and half pork. Why do I use beef and pork to make my meatballs? Because the ground pork tones-down the beefy flavor and that’s what Mom does. 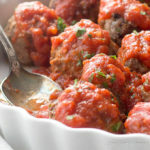 I typically splurge and get American Kobe beef or grass fed beef when I make Italian meatballs because they produce flavorful and tender meatballs. For this recipe I’ll use 80/20 ground beef or ground chuck. Pan Fried Meatballs or Oven Baked Meatballs? A great debate between Italian cooks is whether meatballs should be baked or pan fried. I like to pan fry meatballs for the best flavor. Pan frying meatballs produces superior caramelization and a flavorful outer crust, but the meatballs rarely retain their round shape. Pan fried meatballs. Note the nice caramelization and crust. This is my favorite cooking method. Other’s like to bake meatballs in the oven. Simply put the meatballs on a sheet pan and bake at 400 for 18-20 minutes. This method eliminates the need for standing over a hot pan and results in round meatballs. Unfortunately, it doesn’t promote much browning. Oven baked meatballs retain their shape but do not brown. I finished these in a pan to brown them up. Everyone wants tender, juicy meatballs. The best way to achieve this is to use a panade. A panade is a paste of bread or bread crumbs (sometimes cookies, crackers, and cake) soaked in liquid. It lends tenderness and moisture to ground meat mixtures like meatloaf and meatballs. 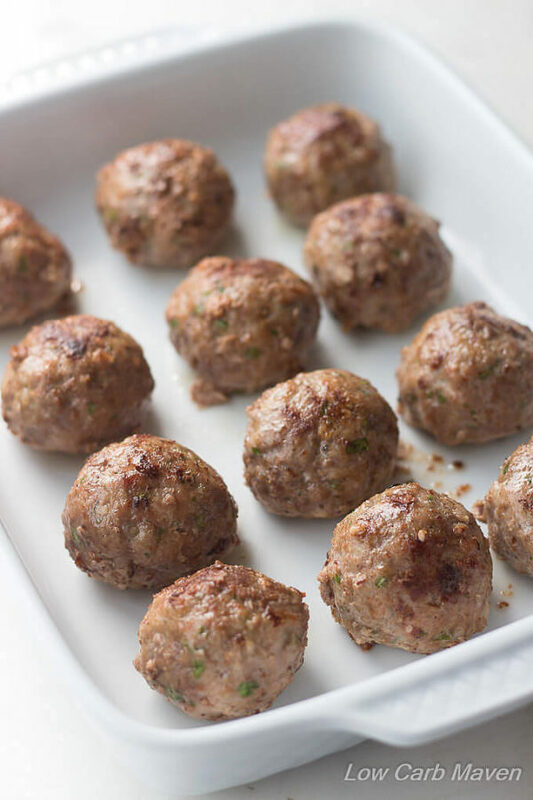 Low carb meatballs do not use bread or bread crumbs to make a panade. I sometimes add finely grated zucchini to my low carb meatballs to add moisture. Other’s will add pork rinds, but they’re missing the point. Pork rinds absorb moisture from the meat, making the meatballs dry. I’ll be experimenting with making a panade with pork rinds, For now, I add heavy cream to my low carb meatballs to add fat and moisture. I can only find lean ground pork in my stores, so this helps a lot. Meal suggestion: Try these meatballs in casserole form like this great meatball casserole Parmesan recipe. Mom’s Low Carb Meatballs Recipe is 1 net carb per serving and 4 net carbs with Rao’s Marinara sauce. Whether you prefer your meatballs baked or fried, my keto low carb meatballs recipe produces the best Italian meatballs which are tender just like mom’s. Gluten-free and great for keto diets, too. Add the beef and pork to a medium bowl and break up into smaller chunks, aiming for an even mix. Add the remaining ingredients to the meat and mix with a hand mixer until just combined. Do not over-mix. Lightly oil hands and roll 12 meatballs. I weigh mine to get the weights equal for even cooking. To do it by eye, divide the meatball mixture in half and roll 6 meatballs of even looking size and repeat with the remaining meat. Cook the meatballs approximately 1 1/2 minutes per side, turning at least 4 times. I use tongs. Cook for 10-15 minutes total. They should be browned like the picture in the post. Heat the sauce in the pan, scraping up the brown bits for a full flavored sauce. For a fresher tasting sauce, warm on the stove or in the microwave and pour over the meatballs. Garnish with parsley and serve or top with mozzarella cheese and place under the broiler to melt. Pre-heat oven to 400 degrees F and position rack to the middle. 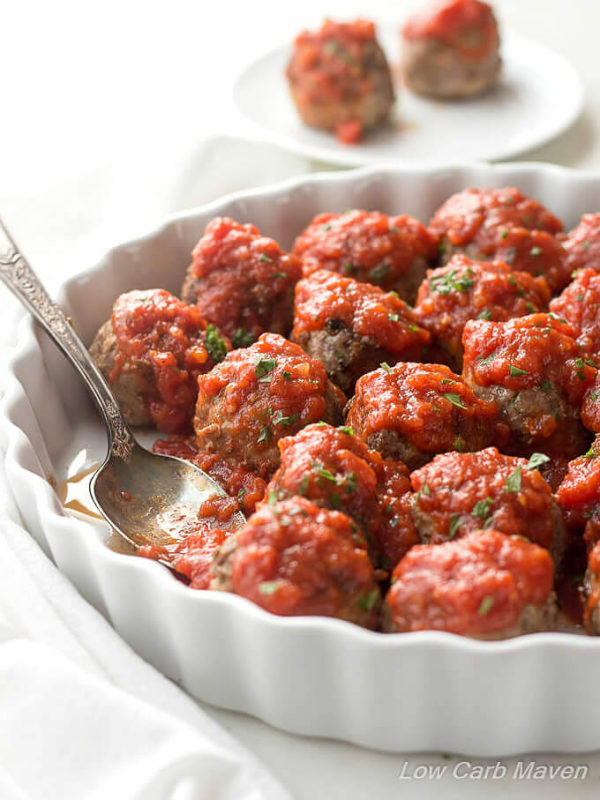 Place meatballs on a foil-lined or rack-lined baking sheet. Bake meatballs for 15-20 minutes. Serve with warmed sauce and garnish with chopped fresh parsley. Alternately, top with mozzarella cheese and place under broiler to melt the cheese. Could I add some ground lamb? I have some I need to use. Thank you! I made this for dinner tonight and they were fab. I’m not a fan of people who say I changed 18 things in your recipe and it was wonderful. I made it exactly as per your directions, oops my bad I only had ground beef on hand. I live in a small rural mennonite community, my beef comes from just a few kilometres down the road so it is beyond tasty. I did take into consideration others methods of cooking them. So, I used a muffin tin, that kept everything round, made the bottoms brown but the tops well, they were less inviting. In the end I popped the broiler on and that toasted the tops and everything looked perfect.. I made my own homemade marinara sauce from my tomatoes from my garden (no reflection on the store brand you used), again when in the country you use what’s in the pantry. This recipe is a keeper, thanks again. Delicious! My boyfriend loved these and didn’t even know they were Keto. Will definitely make again! Thanks for the great recipe! Should this recipe make 12 or 16 meatballs? It says the serving size is 4 meatballs but it says it makes 4 servings (which doesn’t add up to the 12 instructed). I’m asking to determine if the nutrition values were determined by dividing the total by 4 or if the total was divided for each individual meatball and then multiplied by 4 to determine the values for each serving. Thank you! When you’re on a keto diet, 1 meatball can make a difference, so I wanted ti be sure, lol! Thank you! I’m excited ro try this recipe! Made these meatballs and substituted 5 oz grated fresh mozzarella and for the cream. Added a generous tablespoon each of oregano & basil and of course, doubled the garlic! Pan browned then baked in oven on a roasting pan with a rack. Tasty Meatballs! Thank you for the great recipe!!! I am so looking forward to making these tomorrow!! Question – I am planning to make the panade with pork rinds and HWC (thank for introducing me to this little trick) – if I make the panade, is the HWC required in the recipe in addition to what will be used for the mixture, or would I not add any additional HWC to the recipe once the panade is made? Big hit!! Best meatball recipe I’ve made.. & waaaaaay better than using breadcrumbs!! Tender, flavorful & delicious crispy browned edges. I used all grass-fed beef, added 1/2 cup of shredded mozzarella, omitted onion & then reduced parsley, salt & cream in 1/2. Pan fried 8 balls in avo oil. Topped over spiralled zucchini. Non keto & uber picky hubby loved his over pasta. Will absolutely make again!! Much thanks! These turned out so delicious! I used turkey so I was happy to see the idea of adding grated zucchini, since turkey can often be dry. Turned out great. The mixture was so sticky and I was worried they wouldn’t turn out well, but how wrong I was. You can’t go with looks on this one. My husband, who is a bonafide picky eater, absolutely loved them. This will be on rotation in our house. I would have never thought of adding the cream. I may try browning in the pan a little after baking to give them some more color next time, but who really cares when they are this good! Thanks for this delicious recipe! The pork rind parade idea sounds like a great idea. When you say equal parts, do you mean, for example, an ounce of rinds to an ounce of hwc? I’ve added crushed pork rinds to my recipe before and you are so right, they were dry. I’ll be making this tonight and I can’t wait! One question: I’ll be making the panada out of pork rinds and heavy cream. How much should be added to this recipe? I never leave reviews but these are seriously the BEST meatballs that I have ever had!!!! I took your advice on the pork rind and heavy cream mixture. I also baked them for 15 mins and the pan fried them at the end! These are FANTASTIC! I will be putting this recipe in my rotation! Recipe looks awesome but I think I’ll make my own marinara. I checked the price at Kroger online for my local store & it was $9.00 for 32 oz. jar! My Husband doesn’t like Parmesan cheese is there anything I can substitute with? These were really good! I used all beef and onion powder bc tbh I was lazy and didn’t want to grate an onion lol. The mixture was really sticky and I was worried it was too wet but they turned out fine. Maybe not perfectly symmetrical but tasty! This is the second recipe I’ve made from this site and I’m really pleased! I was so glad to find your recipe. I didn’t read it carefully so I left out the eggs. however they held up great. I made 8 lbs of meat, ground beef and sweet Italian sausage. Added finely chopped celery with the onion and garlic. I also added Italian seasons. Adding cream was a great idea. I rolled the balls while dipping my hands in water. This keeps the fat from building up on your hands. Then I broiled them 4-5 minutes per side. They will finish in the sauce. Can’t wait to eat these babies up. Yummy! Thanks so much for sharing this recipe. I’ve made it twice in a week and a half. Delicious! I doubled this recipe and used 1 pound of Italian sausage and 1 pound of ground beef tenderloin scraps from a beef tenderloin we had trimmed for a party. Best meatballs I have ever had! 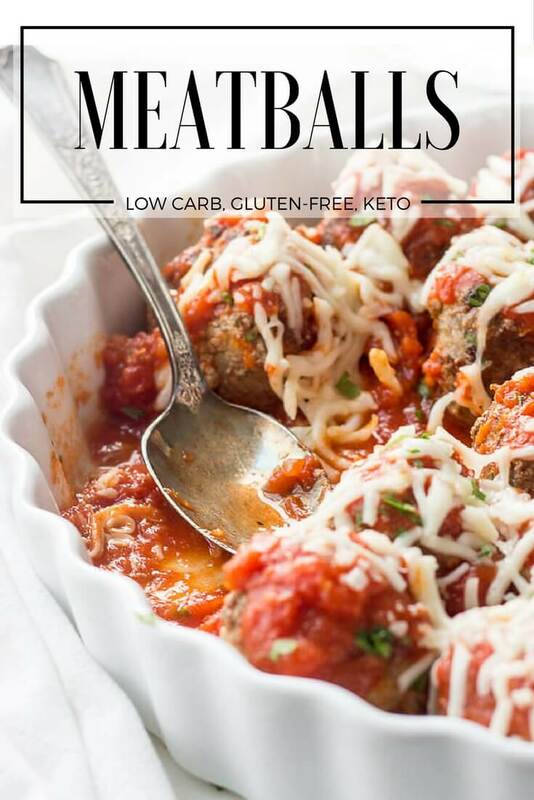 My hubby and I recently started the keto diet and are so thankful for your fabulously delicious meatballs! I bought a vegetable spiralizer and made zucchini ‘pasta’ to go with the meatballs and with the Rao’s sauce it is our new favorite meal! Thank you so much for this life saving recipe, nothing better than homemade meatballs to an Italian girl! Made these last night, was a big hit. Thanks will makes these again. I am trying to make meatballs for a homeschool halloween party. I put in 32 servings and it equaled out to exactly 4 lbs of beef/pork. I have never had a pork rind in my life so I am nervous. Would i match the pork rind quantity to the heavy cream amount listed on the recipe? I don’t have time to screw up this many meatballs…lol. Is there a huge difference in moisture if you just use the heavy cream without the pork rinds? I also have some “not zantham” binder. Do you think that would hold them together? I live in the country so running to the store for extra ingredients is sometimes hard. I can’t wait to try making these. Hi Kim! These are truly amazing and so easy! My local market sells in bulk so I buy 5lbs of pork and beef and make a project of it to freeze. This perfect snack or meal for Keto’ing on the go (grad student and nurse)! I also stick a tiny bit of cream cheese in the center (adds a bit to the carbs but sooooo worth it). Where does the 1 carb come from? Best meatball recipe I have tried. Made a huge batch for freezing. My husband stated these were the best ones yet. First time I’ve seen any other recipe with raisins in their meatballs (in the US, at least!) My Italian grandparents, mom and I do this too …. but we put in more than one! This is awesome. I was looking for keto friendly italian meatball recipe so this is great. I’ve heard adding a little almond flour might serve as a replacement for the bread crumbs?!? We’ll see….. Thank you for sharing! This is the most delicious meal that I can remember! Thank you so much for this recipe! By mistake, I bought Rao’s Homemade Arrabbiata Sauce rather than the Marinara. I’m actually glad that I did. It’s very spicy and delicious. I also added a little bit of chopped fresh tarragon, which I have recently discovered. You might like these variations, too. Super moist and delicious. I made an extra batch for the freezer. Thanks! I made these up and let the mixture sit for awhile. Made up the meatballs and put them in cardboard egg containers, Alton Brown trick. Then put them in my smoker. 250 for 3 ½ hours with apple wood smoke. OMG!!! Nice crust on the top and what little grease was soaked up by the crate. My wife said they were the best she’s ever had!!! Try the reverse sear method they use for steaks. Bake until 130 internal temp, rest for 5 minutes, then pan sear till they reach 165. Perfectly cooked and ROUND meatballs. I do this all the time and works perfectly. Amazing and incredibly easy to make. My hubby said these were the best meatballs I’ve ever made… hands down. And I used only grass-fed beef. Maybe next time I’ll add the ground pork, or not since is was perfect w/out it. Definitely wiill be making this recipe over and over. I bake mine in mini muffin tins, and they get brown and crispy! This recipe is absolutely delicious! I’ve never made meatballs before, but I made it tonight and it was a huge success! I also added a bit of paprika and cayenne pepper to spice it up a bit. Thanks so much. I have been married for over 13 years and never once made meatballs. My husband gave me a look after I told him I would be making meatballs. I guess he was skeptical. They turned out awesome! You can’t tell this is low-carb and it really satisfies a taste I have had for Italian since being on the Keto diet. This recipe has my husband’s seal of appeal. The only modifications made was using 100% hamburger. I have to admit, the entire time I was preparing these bad boys, I didn’t have high hopes. I grew up in an Italian home, so I kept thinking, where’s the binder? This is way too wet. This is going to be a major fail. What else can I make for dinner? Well, let me tell you, they were FABULOUS! I followed the recipe exactly as written and baked them. PERFECT!! 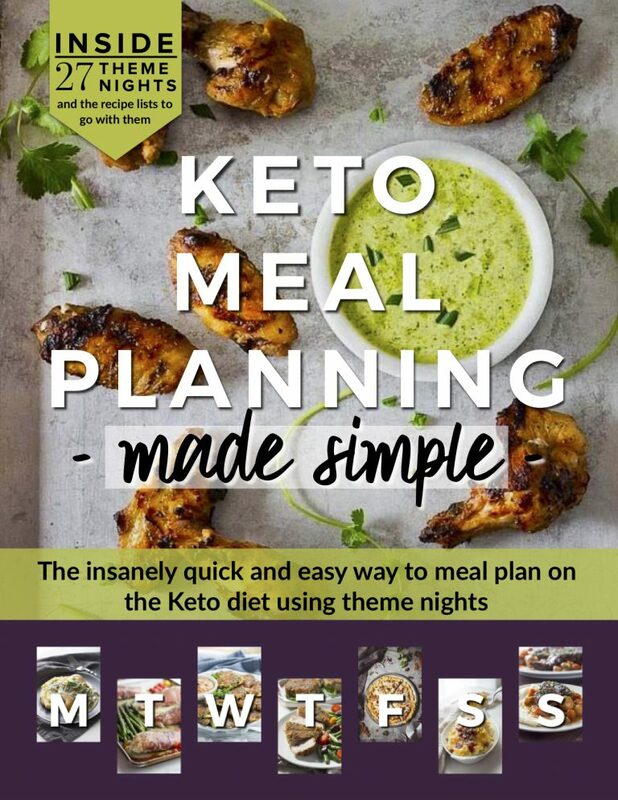 We recently embarked on a quasi keto / low carb diet and I am so glad I found your page! Every dish I’ve tried has been excellent. Now, tell me, do you think this would work as a meatloaf? Hi JoAnne. Wow! I’m absolutely thrilled with your comment. I’m so glad you like the meatballs. BTW, I mentioned in the article that I would try soaking pork rind dust with the cream and see how that worked. It works beautifully. I never liked meatloaf that much growing up so I don’t know what a proper texture should be. One of the best tasting meatloafs I have tried is from Peace Love and Low Carb in her first book. She just used egg and spices. I would try the trick of measuring the pork rind dust as you would dry bread crumbs, then let soak for 10-15 minutes in cream. That should work just fine. Oh my goodness, I’m so excited to try these! I read the recipe and decided to give it a go (I maaaay have tripled everything because it looks so good) The meatballs are rolled and chilling in the fridge now to be prepared fresh tomorrow! Yup, that was a total success! Thank you for turning me into the meatball queen. We’re both huge fans of that recipe now. Super flavourful and fresh! Tried your recipe tonight with Ground Buffalo and Ground Lamb. Added some dried Italian Seasoning and doubled the garlic. Was super wet so chilled it for an hour before attempting rolling into balls. Then just did the bake option at 20 minutes. Absolutely delicious. Pretty much a different recipe but your guidance was definitely the core of it. Made this using ground beef and ground chicken. I served it on top of zucchini spaghetti and it was marvelous. Can I use Soy Milk or Creamer instead of heavy cream? Curious because that’s all I have on hand but don’t want to ruin a great recipe since the reviews look like this is a winner! Made these for dinner tonight and they were awesome! I did add a little more garlic and a tsp of Italian seasoning. Personal preference. I love my mom’s meatballs, but never really knew how to solve the bread binder issue. These were just as good with no gluten / carb worries. Love your recipes!! Thanks so much for sharing!! Oh, and would love to know your thought on GreenPans vs standard calphalon cookware. I’m glad you like the recipe, Katherine. I LOVE Green Pans. I have a large stainless steel pan I use for big recipes – love it, and a cast iron pan I use for other things – love it, but i LOOOOOOVE my Green Pan. I honestly use it 2-5 times a day. When new, it is so slippery that oil wont coat the bottom and it’s hard to flip the food – and food browns nicely. I bought my pan from Amazon (Target sells them, too) three years ago and it’s time to replace. I don’t always use non-metal utensils in it and it will chip and scratch. But, I have loved this pan so much that I am going to buy their elite line from their site. You CAN use metal utensils in it. It’s expensive, but I know it will last a long time and the coating is amazing. These pans are much lighter in weight than traditional pans. I love my stainless steel pan and cast iron pan, but they take a long time to heat up. I grab them for specific things and as I said, I love them. The green pans heat up quickly and are easy to shake, lift/move around, and give a nice surface sear or coloring. Again, I just love my pan. I hope this helps. The first time I made with 1/2 beef, 1/2 Italian sausage (Ileft out the parsley b/c I’m not a fan). I baked them for 10 min, then pan fried until brown deliciousness! OMG! SO good! My whole house smelled Fabulous! Best meatball recipe EVER! This time I doubled the recipe & used beef & pork. I’ll be freezing portions with sauce again – that worked great. The Only meatball recipe I’ll ever use! Thank you for sharing!!! These were fantastic! I only used beef and baked them as directed. Excellent, and the whole family was asking for more. Next time I’ll double the recipe! So good seriously best meat ball ever. It’s the first time I ever mixed beef and pork together so maybe that’s the secret. I will definitely make these again. OMG that chicken pizza crust, + meat balls, I will make a batch and put them in the freezer, Thank you. Absolutely AMAZING. I made these last night for my fiance and I and we absolutely could not get enough. He now wants me to make this a staple in our weekly meals and I am completely on board. Doubling the recipe next time to share this amazingness with family and friends! Have you tried freezing these? If so how did they turn out? I may have to do some experimenting. :-D I just love the convenience of frozen meatballs. This was awesome!! I used ground lamb and Mutti Passata instead of Rao’s. Turned out beautifully! Made these today and they were good. I baked them in the oven. How would you recommend adding the sauce while they bake? The best meatballs I’ve ever made. It’s definitely much so I used the ladle and made them baseball size big which required about 7 more minuets extra baking time. Just hevenly delicious. Thank you for the awesome recipe! What I like to do is broil them in the oven (flipping them over once halfway through) and then put them in a saucepan with the sauce and cook covered on medium heat for twenty minutes. That way they get brown and they absorb the flavor of the sauce. Phenomenal meatballs – for which I am glad since I quadrupled the recipe! I did not have parsley so omitted it but followed the rest of the rwcipe exactly with the exception of cookong method. I baked mine (I had so many it woukd take an eternity to fry) and they turned out great. I did up the temp to 450 and cooked 7 min longer to brown and I wish I hadn’t. They were very flavorful but that little trick did cost me some tenderness. I cooked a lot of extra because tonight we are going to have meatball parm which browning really isn’t necessary for. If browning is important to you then I suggest following her instructions and fry them. In this case “color equals flavor” does not apply because this recipe is amazing. 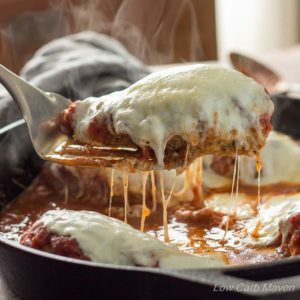 I have tried other low carb meatballs and this one is the definite winner! Thanks so much for posting! Is there serving size 3 or four meatballs. The note says four but the recipe says 4 servings and that doesn’t add up of its 4 meatballs per serving. Sorry watching my macros so I need exact. So, so, so good!!! These were super easy! Juicy, delicious, savory and scrumptious! Even on a busy week night they were pretty quick and I even doubled the recipe. This was my first time making them, and I doubled the recipe to feed the whole family. So I was praying they were good! Healthy doesn’t have to be boring! I made these tonight and they were delicious! Husband, kids, everyone loved them. I saw where someone added mushrooms, so I chopped them really finely in the mini food processor and threw those in. I baked them in the oven and the house smelled amazing while they were cooking! I made these meatballs tonight and followed the recipe exactly. They were delicious and juicy! 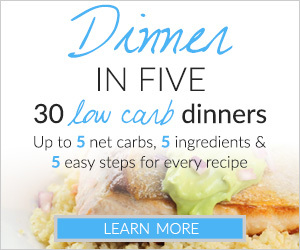 My low carb boyfriend loved them and I did too – will definitely make these again. Made these using a handful of “breadcrumbs” made from your psyllium bread (used scaps I had saved and frozen…just broke them up a bit and put the frozen bits into a food processor). The meatballs were STUPENDOUS!!!! Really light and tender….and oh so flavorful. I did add a bit of dried oregano and basil to your mix, because that was my mom did. Please try them with crumbs from the psyllium bread….you will love them. 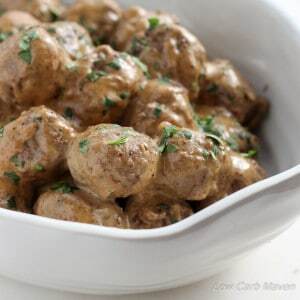 I make meatballs similar to how you do though usually just with beef, but I will try beef and pork mixture as I’ve seen in many classic meatball recipes this is a better combination for taste. I add almond flour to substitute for bread crumbs. Without it they don’t seem to have the right texture for me and with almond flour they have the same mouth-feel as those made with breadcrumbs. I will sometimes add a bit of grated zucchini, too, for moisture. I love meatballs and love reading recipes for them! Tried this recipe for me and my family, I’m the only one Keto and everyone loved them. First attempt making low carb meatballs, and they turned out actually better than the normal one my fiancé made last time! So juicy and tender! On top of salt and pepper, I threw in bits of thyme, oregano and sage. What a great sounding recipe! Love the idea of grating the onion and garlic to get a better distribution of flavor. Kim, have you ever tried using the psyllium bread as crumbs in the meatballs? I have a ziplock bag of bread shavings (from never being able to cut an even slice the first time….ugh) waiting to try them ground up in meatloaf or meatballs. Hoping the psyllium bread is a moisture retainer and acts like a panade. Kim, these look great. Have you tried using crumbs leftover from your psyllium bread? I slice the bread pretty thinkly and find myself frequently shaving some excess off one side so it is an even thickness to “toast” well in a skillet per your recommendation (I agree…BEST way to toast that bread, I find it curls up in the toaster). I have a bag of shavings saved in the freezer intending on using them on meatballs or meatloaf, just haven’t used them yet. Also, Americas Test Kitchen recommends adding a teaspoon of plain dry geletin to meatball/meatloaf mixtures, as it mimics the colligen found in veal. It is intended to hold the moisture as a panade would do, and I do find it helps. But I am guessing that if I use some ground shavings from the psyllium bread that the geletin will not be necessary…..the psyllium ought to do the trick. But we all know theory only goes so far…..I need to try it to see if it actually works the way it should. I love that you grated the onion and garlic…..super idea. Thanks for another great recipe. I have not rated it yet until I make it…..which should be SOON. You now have me hungry for meatballs. Hi Deborah. I haven’t tried using the psyllium bread crumbs just because I didn’t want anyone to think that they had to make a whole other recipe to make the meatballs. That’s actually a great idea. Since they have already absorbed some moisture in the bread making process, they may just to the trick. You are genius! Interesting about adding the gelatin to the meatballs. I wonder if one would have to add a little extra moisture to the meatball mix beforehand? I’m going to try it. Along that line… pork rinds are mostly made of collagen so I think that either making a very moist meatball or trying to make a panade of it would also mimic the veal. I think I will try both versions. Hi, Thanks, Since you asked, I use a mini-chopper to very finely chop mushrooms to add moisture to my meatballs. 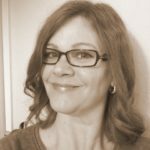 My husband likes ground turkey, which is very dry, and the mushrooms make them moist. However I will add the cream and parmesan as you have written and that will improve them. These look delicious! Thank you SO much for explaining why using pork rind crumbs yields a tough meatball. I’ve often wondered about that. Your idea to use heavy cream is brilliant! I have two questions for you: 1) What do you think of using “meatloaf mix” which is a combination of equal parts beef, pork, and veal? 2) How do you brown the round meatballs evenly without overcooking them? I find that I get one side perfect, but the other parts are not browned well enough. I’ve thought about forming patties, but that kind of takes the fun out of meat “balls” so I’ve resorted to baking them, but you are right that they don’t have that wonderful carmelization flavor. Any suggestions would be most appreciated. Once again, thank you for your fantastic recipes and blogs.